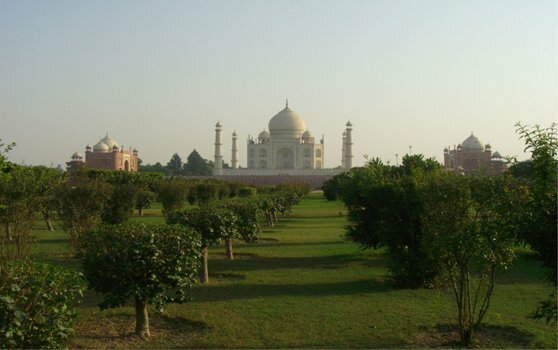 The Mehtab Bagh garden was the last of eleven Mughal-built gardens along the Yamuna opposite the Taj Mahal and the Agra Fort. It is mentioned that this garden was built by Emperor Babur (d. 1530). It is also noted that Emperor Shah Jahan had identified a site from the crescent-shaped, grass-covered floodplain across the Yamuna River as an ideal location for viewing the Taj Mahal.